Many are calling the success of corporate wellness companies a revolution. It’s a new way to provide healthcare and benefits for your employees. If you are looking to increase productivity and manage your healthcare costs, a corporate wellness program may be just the answer. Wellness programs have helped employees become more proactive about their health, increased teamwork, and boosted company morale. A good corporate wellness company should have a proven track record and a great ROI. Multidimensional wellness programs work best – they should be personalized, motivating, and actually helpful for your employees. Good communication is encouraged. Engagement becomes the key to unlocking the potential of your employees. Besides being practical, corporate wellness programs need to be well organized and scheduled. There are various ways to collect and track all the data that goes into making a corporate wellness program a success. Four characteristics to look for in a corporate wellness company are involvement at all levels, a broad focus, correct use of incentives, and easily accessible resources. If something new is being promoted in the workplace, but the leaders themselves aren’t invested, then the employees probably won’t be either. The CEO, middle management, senior officers–all the leaders should fully embrace the corporate wellness mentality. Beginning a successful corporate wellness program is less about another new thing and more about creating a shift in the corporate culture of your workplace. This begins with those at the top, setting a good example for everyone else. Too many corporate wellness companies make the mistake of only focusing on one health problem like obesity. The reality is that each employee could be a little bit healthier, whether they are overweight or in good shape. The key is to get everyone involved, which means the focus should be on more than just weight loss. Corporate wellness programs are not designed to help someone become a certain size or look a certain way. Putting pressure on people to lose weight won’t make them excited to participate. Instead, promoting a healthier and more balanced lifestyle can appeal to everyone. Mental and emotional health issues are also important. 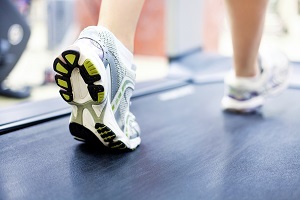 The proper use of incentives can really boost your corporate wellness program. Corporate wellness companies should always promote incentives and how best to use them. Their purpose is to encourage engagement, give back to your employees, and foster interest in the program itself. Incentives that involve some sort of action are a great way to get employees active and engaged. This will also practically show employees how your corporate wellness program will actually be beneficial to them. The only way a corporate wellness company can actually help your company is if your employees get involved. Using incentives, good communication, motivation, and good examples will help. But the end goal of any corporate wellness program should be empowered employees. After some education and information, your employees should have the resources to take their physical and mental health seriously, making changes if they want. If an employee desires to quit smoking, getting them into a smoking cessation program and supporting their decision will make them feel heard and inspired. If you’re looking for a quality corporate wellness company, contact us to find out what we can do to help improve corporate wellness for your workplace.